FIRST TIME SUPER LIMITED EDITION BLACK & BLUE TRANSLUCENT 180 GRAM AUDIOPHILE VINYL! FEATURES HIT SONGS: "HEART ON MY SLEEVE" "WHERE DID OUR LOVE GO" "HARD TIMES" and "WHO NEEDS A HEART"
Often considered one of his finest works since the classic "Ringo" album from 1973, "Bad Boy" would become one of the Ringo Starr’s most loved ventures and one of the finer rock recordings of 1978. Featuring the hit single "Heart On My Sleeve", "Bad Boy" would be the centerpiece of his critically acclaimed television special "Ringo." Whenever the legendary Ringo Starr makes a record, there’s always a little help from his superstar friends like producers Vini Poncia and arrangers James Newton Howard, who all contributed their studio expertise into making "Bad Boy" the stellar work that it is. More Ringo classics like "Who Needs A Heart" kicks the Lp into high gear, followed up by his remake of the Naomi Neville hit "Lipstick Traces (on A Cigarette)" and Sir Richard Starkey's interpretation of The Supremes' smash "Where Did Our Love Go"...all truly making this a splendid time for all! 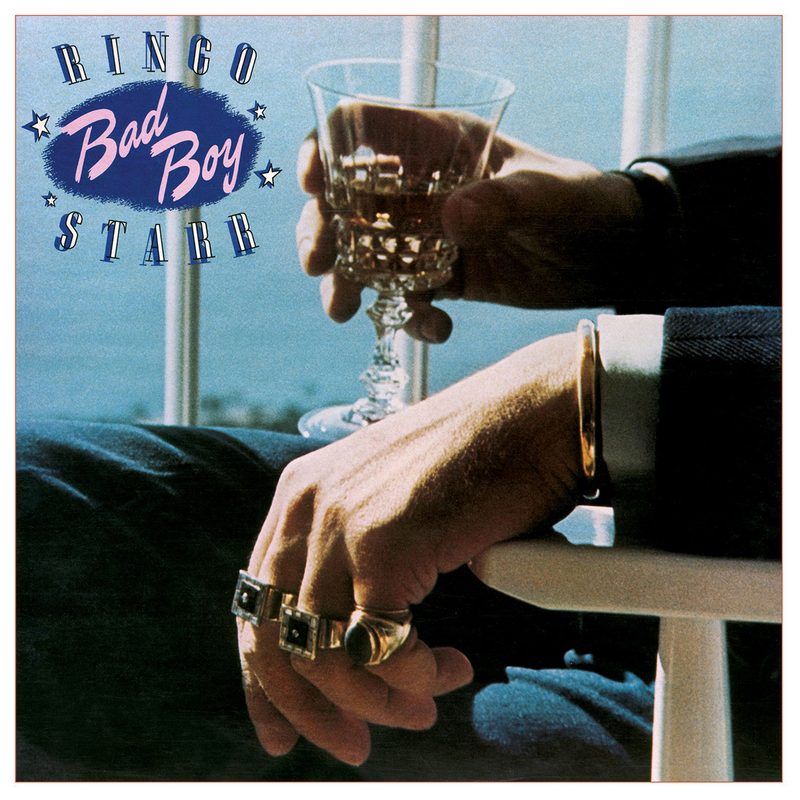 Friday Music is very pleased to announce the first time 180 Gram Translucent Blue & Black Swirl audiophile vinyl release of the Ringo Starr classic "Bad Boy." Mastered impeccably by Joe Reagoso at Friday Music Studios and Capitol Records in Hollywood, CA and pressed at R.T.I., for a super limited time, this super fine Ringo Starr Lp will also be housed in a striking gatefold cover which also includes rare photos and lyrics from the inner sleeve artwork, plus a 12" x 12" poster insert to enhance your Ringo Starr listening hours.